Offering you a complete choice of products which include gold melting furnace, gold annealing furnace, gold melting furnaces, gold cupellation furnace gcf-leo 2018, gold melting furnace - gmf leo 2018 and melting furnace. We offer a wide range of gold annealing furnace that is precision engineered and excellent in performance. 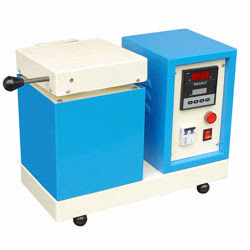 We offer a wide range of gold melting furnace that is precision engineered and excellent in performance. Our Gold cupellation furnace is precision engineered and excellent in performance. The time consuming to reach the required temperature is about 50-55 mins, which consumes less power compared to others. 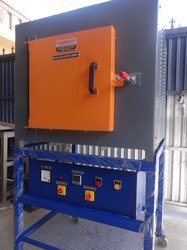 Gold melting furnace produced by our company has designed in the way of rise in temperature up to maximum of 1050 deg with in less than 1 hour, hence it can be used for cupellation purpose also in some of the emergencies. Looking for Gold Furnaces ?